One of the main health concerns of living and working in space is the long-term exposure to high levels of radiation. NASA scientists have developed a new device to monitor radiation exposure to neutrons and are testing it on the International Space Station. Launched on the fifth Orbital ATK resupply mission to the station, the Fast Neutron Spectrometer is designed to detect and measure the energy of neutrons, which are known to be specifically harmful to humans. Understanding neutron radiation will help keep crews safe when NASA sends humans to Mars. "There are multiple types of radiation in space," said Mark Christl, team lead for the study at NASA's Marshall Space Flight Center in Huntsville, Alabama. "While there are already advanced instruments to detect gamma rays produced by supernovas or black holes, X-rays and other charged particles, we needed a way to detect and measure neutron radiation to quantify the impact on human biology. Neutron detection techniques have not seen the same leap in technology advancement." Neutron radiation is created when the high-energy particles from our sun and outside our solar system interact with other particles or matter, such as a spacecraft or a planetary surface. But these neutrons are only viable for approximately 13 minutes before they decay into charged particles. "If they're more than 13 minutes away from you, it's not really a problem," Christl said. "If you're in a capsule or on a planet's surface with little or no magnetic field or atmosphere, you can potentially be covered in a neutron field." The Fast Neutron Spectrometer is mainly a passive tool, waiting for neutrons to strike it. 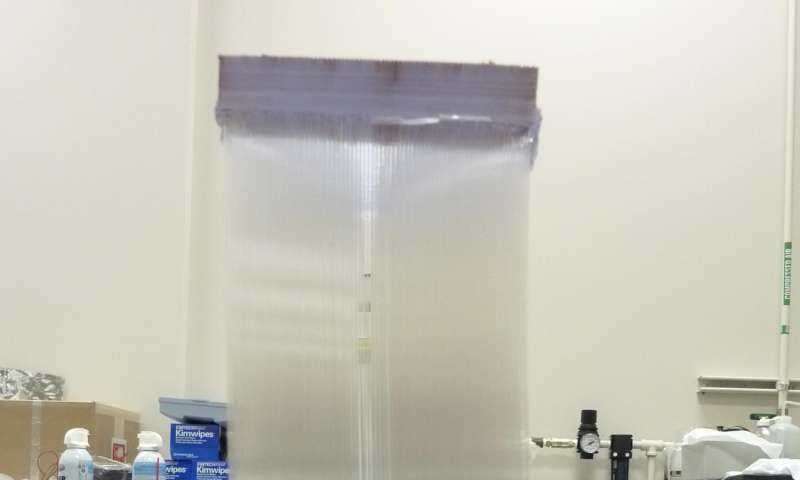 It is comprised of an aluminum housing with a plastic scintillator that slows down the neutron when it hits the device, and glass scintillator fibers that absorb the neutrons and re-emit the energy in the form of light. This advanced version provides two distinct signals for measurement - the first to measure its energy and the second to confirm a neutron was detected rather than another kind of particle. The standard, all-plastic devices can't clearly determine the differences between these signals. "Detectors for other radiation types are already used in many industries," said Christl. "They're used in particle accelerators for scientific research, the oil industry or medical field to measure radiation exposure. Scientists have been working on remarkable advancements in these detectors, but neutron radiation detectors have not received that kind of attention. At NASA, we saw this as an opportunity to address a problem our astronauts will have as they go on longer journeys in our solar system." NASA astronaut Shane Kimbrough installed the device on the space station on Dec. 2, 2016. Since then, it has been moved to different locations around the interior of the station and it currently resides in the Node 1 module. The Fast Neutron Spectrometer will monitor for neutrons for six months, sending data for any neutron strikes to a laptop computer on the station. That data will be downloaded daily for processing and analysis by the team at Marshall. The device was tested and calibrated at particle accelerators and by using other radioactive sources on Earth. If the technique is verified, Christl hopes it can be used on future missions to determine when - and how much - the neutrons are contributing to the radiation absorbed by a crew of space travelers. 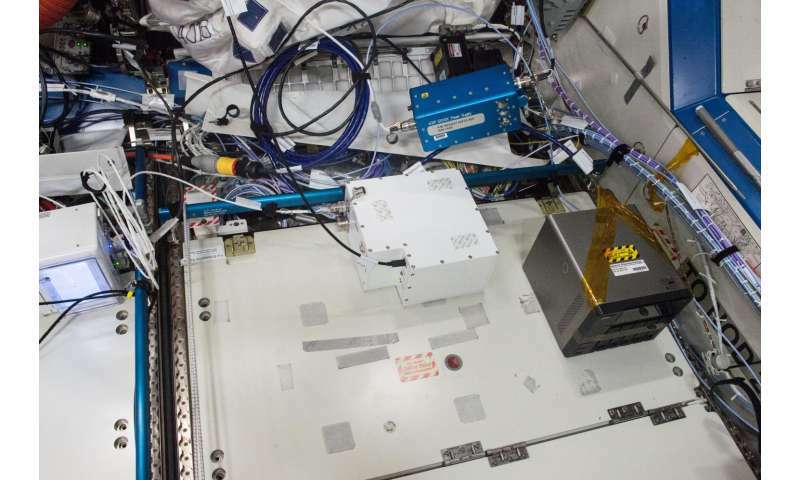 Even though the space station's radiation environment is not considered "deep space," the spectrometer is a new capability ready for validation in a space environment. The project is a collaborative effort within the agency. 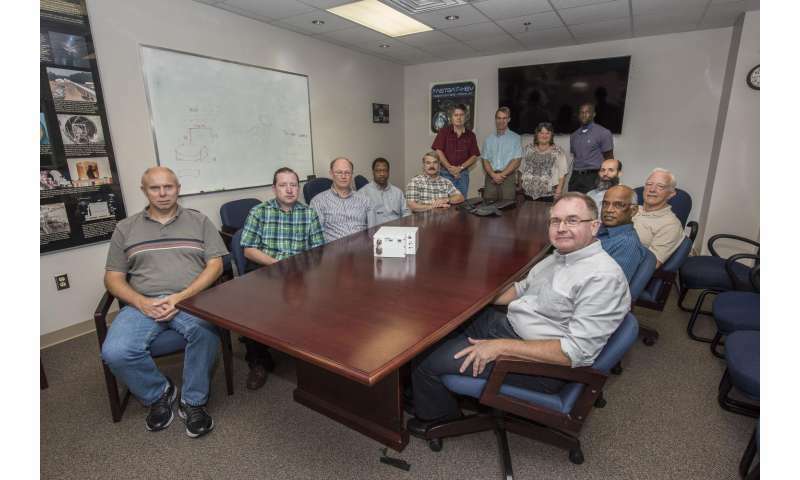 A team at NASA's Langley Research Center in Hampton, Virginia, is looking into the actions crew members may take if they receive warning of an oncoming wave of radiation from a solar eruption, running simulations and coming up with ways to rearrange the contents of a spacecraft to increase the shielding. Another team at NASA's Johnson Space Center in Houston is advancing the detection of charged particles. "There is a serious need to monitor the radiation dose the crew receives," Christl said. "We use different techniques for charged particles and neutrons and we'll need to know the dose from both to know how much radiation the astronauts are receiving. These radiation detectors may force missions to change in mid-stream, but it will help keep our astronauts safe."